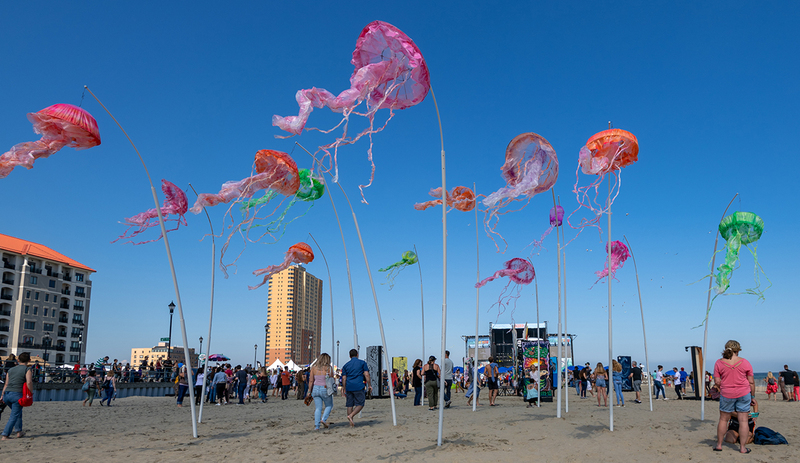 A much-anticipated music festival just landed right in my backyard of Asbury Park, New Jersey. 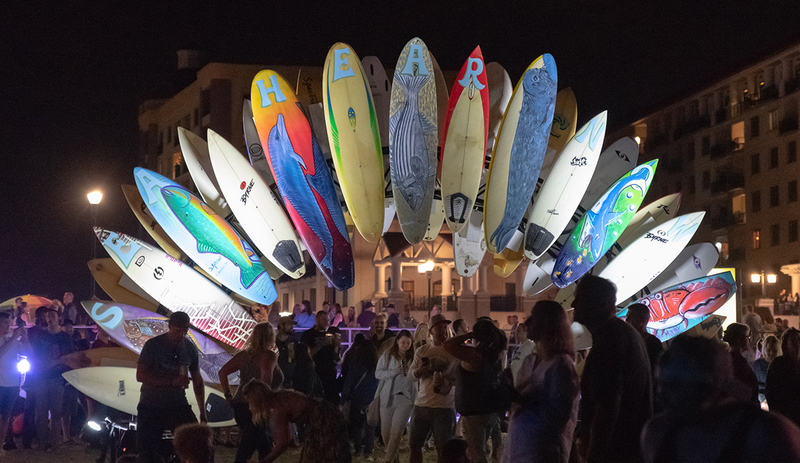 The excitement of bringing live music, art, and surf culture to the area was something I wasn’t going to miss. 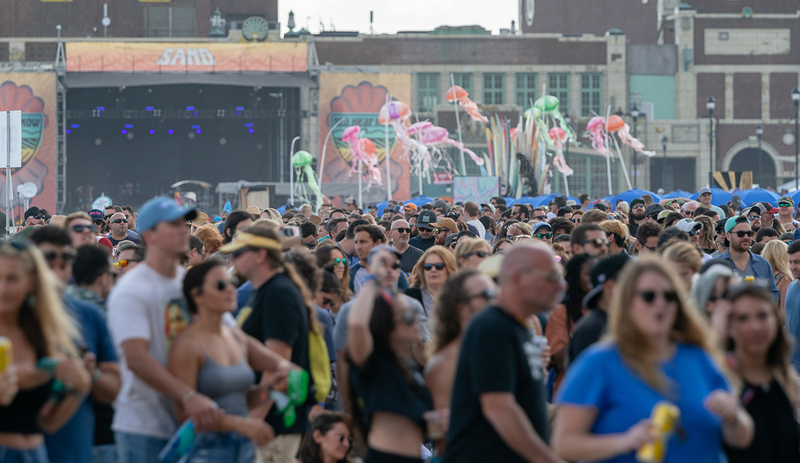 The historic boardwalk in Asbury Park has hosted numerous concerts and events over the years, like the Warped Tour in the late 1990s, but nothing like a bonafide music festival of this magnitude. When I arrived on day one of the festival I could tell immediately the site was bigger than I’d anticipated and well organized. The festival had hydration stations and was committed to raising awareness of minimizing plastic pollution and promoting recycling. On the beach, bands were already starting to play and I could just tell it was going to be a great day. Meanwhile, the swell that was projected really never came together. There was enough of a pulse in the water for the surfers to put on a show in front of thousands of people, though. As I shot in this arena-type atmosphere it was pretty electric with bands like Soja, Blondie, and the Preservation Hall Jazz Band playing during the heats. 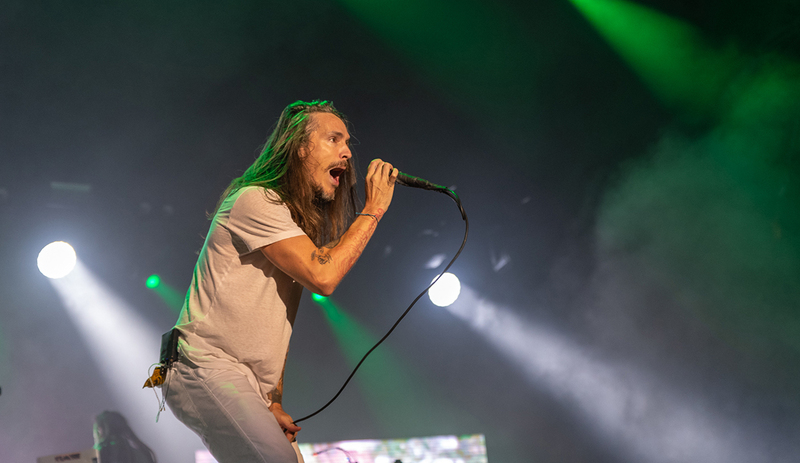 When day one of the surfing element was complete everyone hung around catching the beautiful sunset, grabbing dinner from the food vendors and getting hyped for Incubus to perform. Day two was just as beautiful. 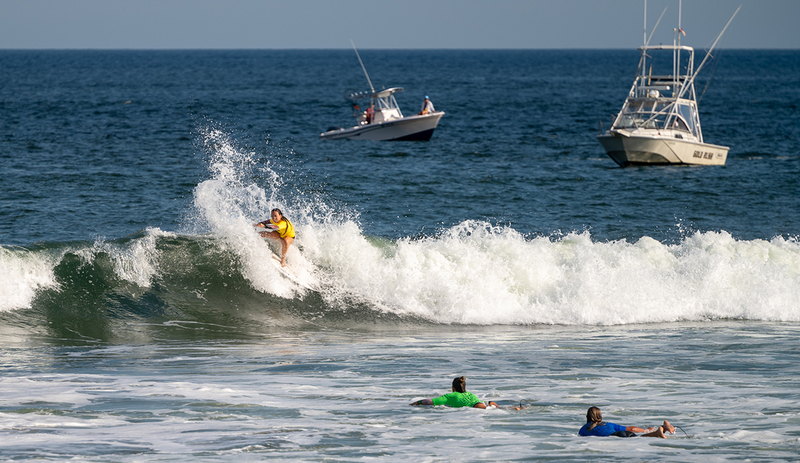 The surf conditions were a bit better and the festival was packed. The crowd was able to see surfers like Brett Barley, Balaram Stack, Sam Hammer, and Pat Schmidt blasting airs. The girls like Cassidy McClain, Quincy Davis, Autumn Hays, and Morgan Inglay surfed great. What struck me was how the crowd interacted with the surfers along the fence line. 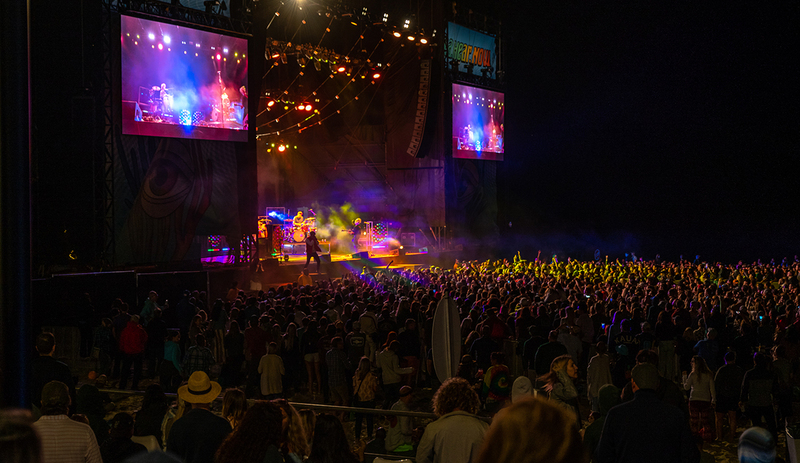 Bands like Kaleo, The Original Wailers, and Milky Chance played the live soundtrack for all the surfing. After the surfing wrapped I went into a shaping booth set up in the park area of the festival. When I arrived at the tent east coast shaper Ricky Caroll was mowing through a blank as onlookers gathered around to watch him hand shape a blank piece of foam. 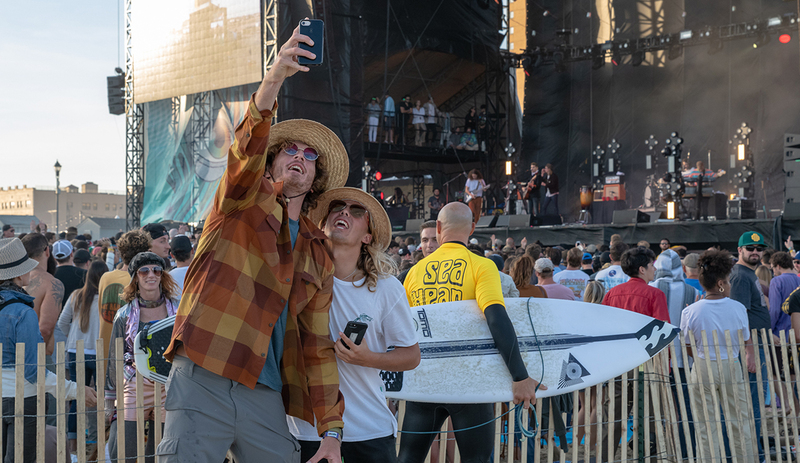 As we finished our conversation around the tent G.Love & Special Sauce ended their set and the crowd quickly moved from the park back to the beach to get ready for Social Distortion and Jack Johnson. Social D did not disappoint and was joined by special guest, The Boss, Bruce Springsteen! After that set, Jack closed out the festival on the Surf Stage. I would be remiss if I didn’t congratulate producer, Danny Clinch, C3 Presents and Founder Tim Donnelly on executing such a special festival that people will be looking forward to every year now.